The Chem HelpDesk was established as a joint initiative between the World Health Organization Regional Office for South-East Asia (WHO/SEARO) and the Chulabhorn Research Institute (CRI) through the International Centre for Environmental Health and Toxicology (ICEHT) in Bangkok, Thailand. The aims of the Chem HelpDesk are to address the issue of the widening gap in the field of chemical safety between developed and developing countries, and to empower countries in the South-East Asian Region to manage the import, manufacture and processing, storage, distribution, transport, use, recycling and disposal of chemicals. This project was initiated in August, 2008 with the pilot phase running until July, 2010. 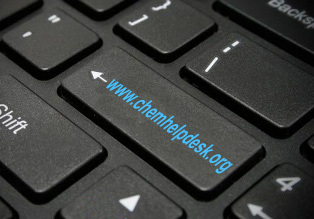 The Chem HelpDesk is not-for-profit, and through a website will provide cost-free answers to questions submitted by registered users. These answers will be provided by experts in the field who supply technical and scientific advice as part of our Community of Practice (CoP). It is the aim of the Chem HelpDesk to benefit users and to help countries in areas of most need to protect human health through the safe use and management of chemicals. 3. Sending suggestions, comments, or queries related to the use of the website by clicking the "Send suggestion" button, or emailing us at "coordinator@chemhelpdesk.org"
Disclaimer : All reasonable precautions have been taken by Chulabhorn Research Institute (CRI) and World Health Organisation (WHO) to verify the information contained in this publication. However, the published material is being made available without warranty of any kind, either express or implied. The responsibility for the interpretation and use of the material lies with the reader. In no event shall the CRI nor WHO be liable for damages arising from its use. Linkages to information sources other than CRI and WHO do not imply the expression of any opinion whatsoever on the part of CRI and WHO. ©Copyright 2008 - 2019, All rights reserved.